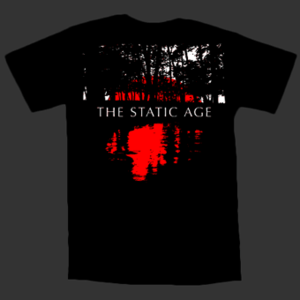 The cover art from The Static Age's "Blank Screens" on the front, blank back on a black t-shirt. Originally printed up for US tours in 2007-2009 and reprinted for EU tours more recently. Limited quantities left -- and once these are gone, they won't be reprinted.